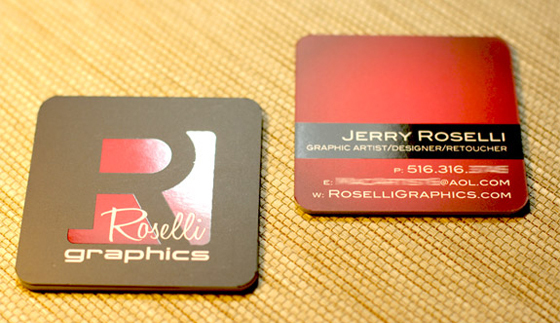 This is the business card of Jerry Roselli, a graphic designer from the US. 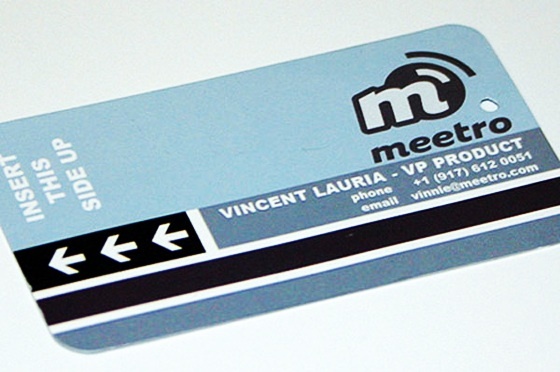 The square card has rounded corners which make it look very interesting. 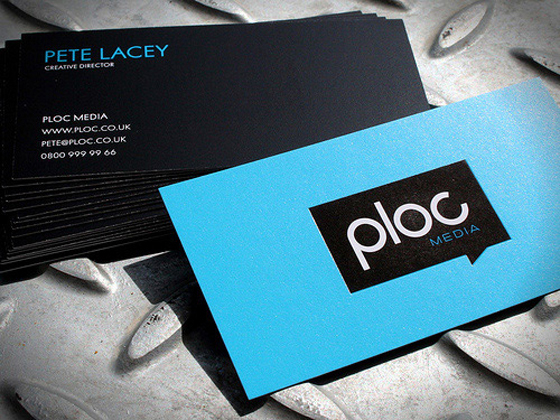 The use of foil and possibly a spot uv coating on the front side of the card are also very attractive. Very creative work!